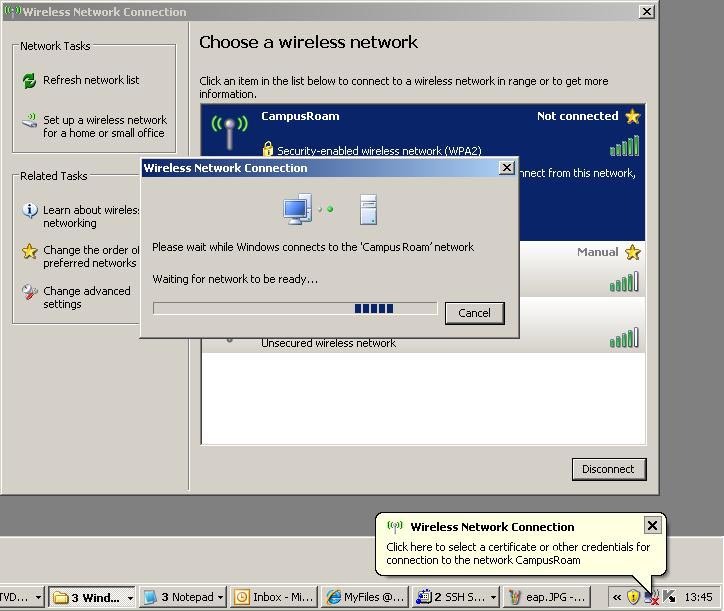 These instructions apply only if you are using Windows to manage your wireless network connection. 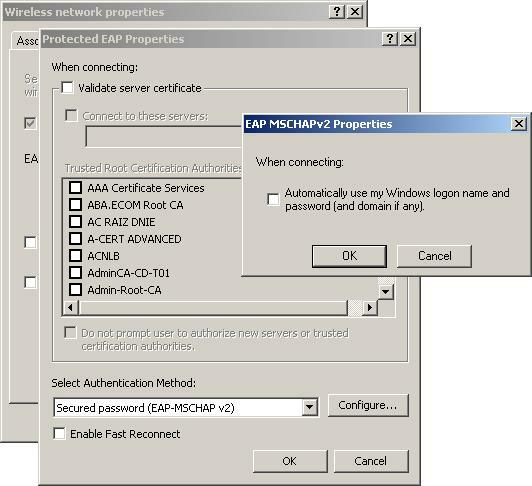 If your laptop has its own configuration wizard (ie. Dell), you'll need either to switch this off or follow the more general instuctions below. 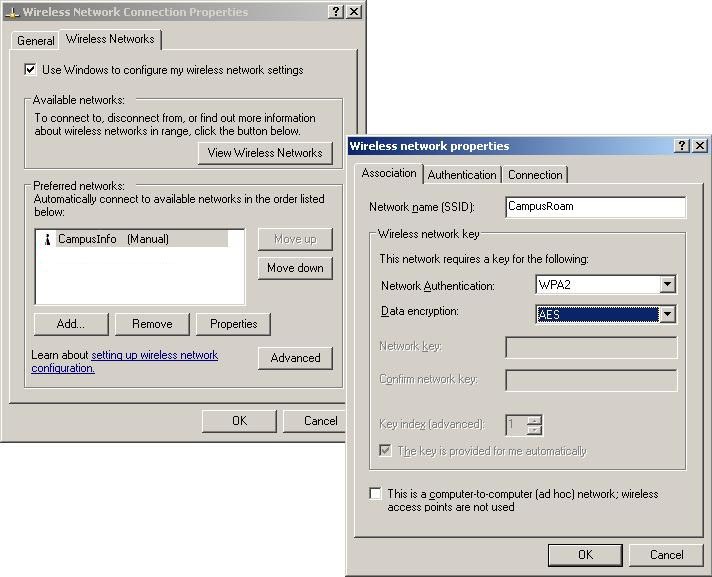 Click "Change the order of preferred networks" on the left of this window. 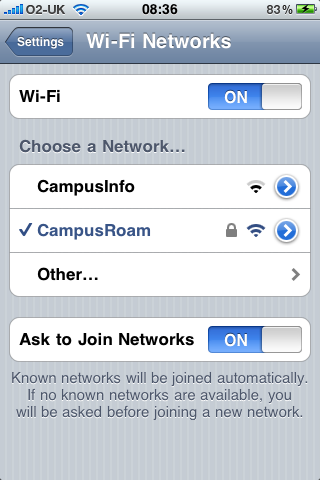 Click the Add... button and type CampusRoam into the Network Name field. 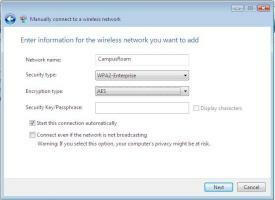 Set the Network Authentication type to WPA2 and Data Encryption to AES. Make sure the other two checkboxes are unticked. Then click the Properties button. 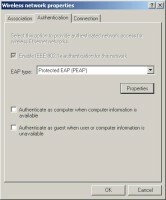 In the Protected EAP Properties Window, untick the Validate Server Certificate checkbox and click the Configure... button. 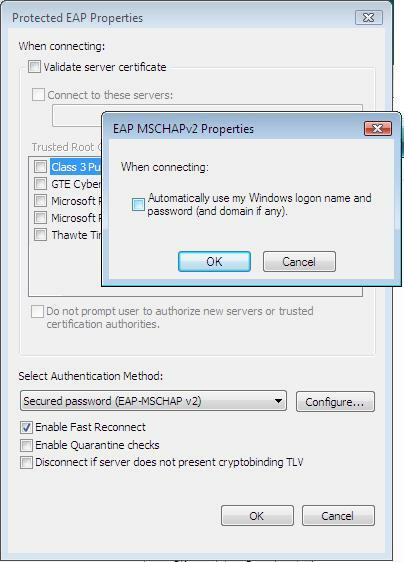 In the EAP MSCHAPv2 Properties box, untick the checkbox. Although it's not shown ticked here, you can tick the Enable Fast Reconnect box. Click OK to all open properties dialog boxes. 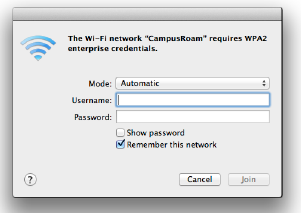 Back at the Wireless Network Connection window, double-click on CampusRoam to connect to it. You'll see a small popup in the notification area (bottom right). 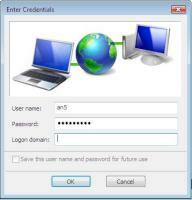 Click on this to enter your university username and password. 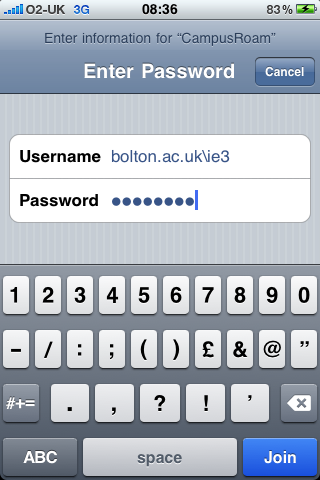 Enter the domain as bolton.ac.uk. 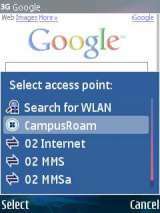 Click OK and you should be connected to CampusRoam. 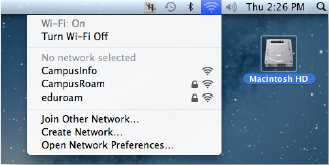 Enable Wi-Fi on the Finder top menu bar. You will be asked for your credentials. 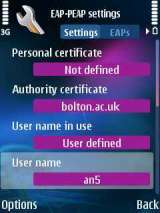 Enter your normal university username and password. 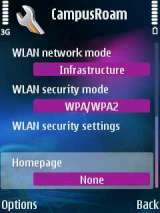 Select the 'Remember this network' check box to make your device connect automatically in future. 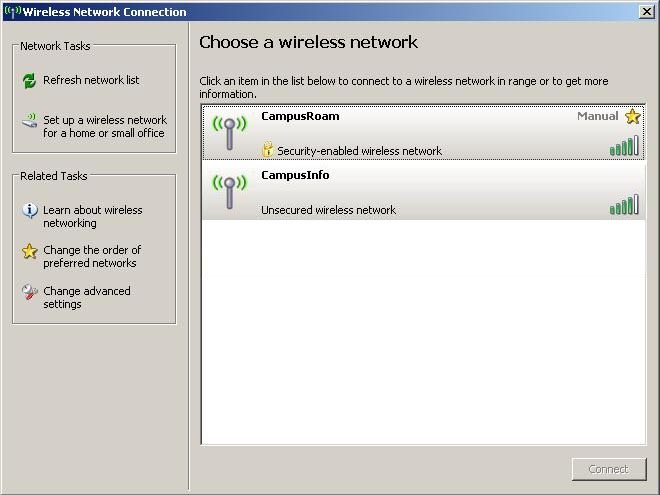 Choose Manually connect to a wireless network, then click Next. 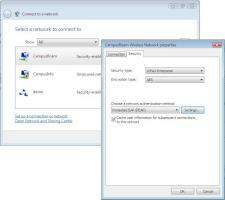 At the next screen, click Change network settings. 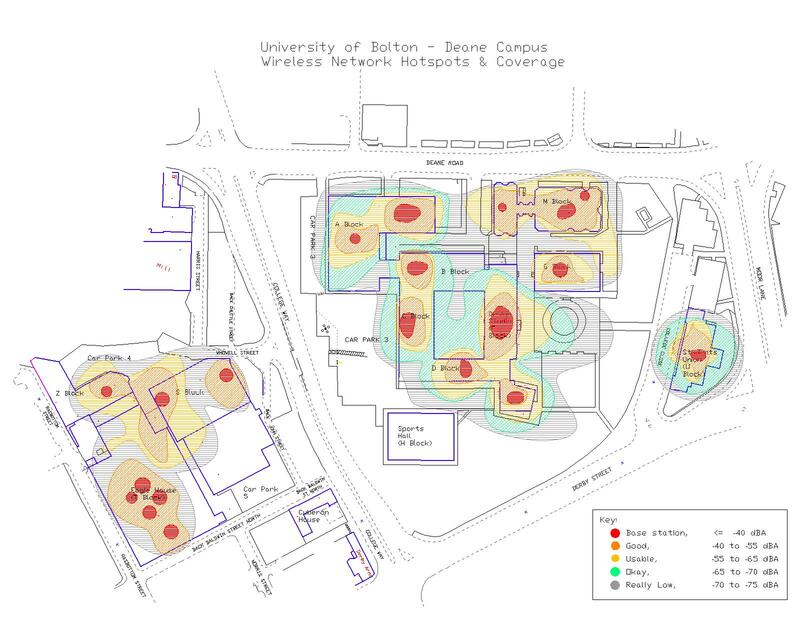 A Properties box will then pop up. 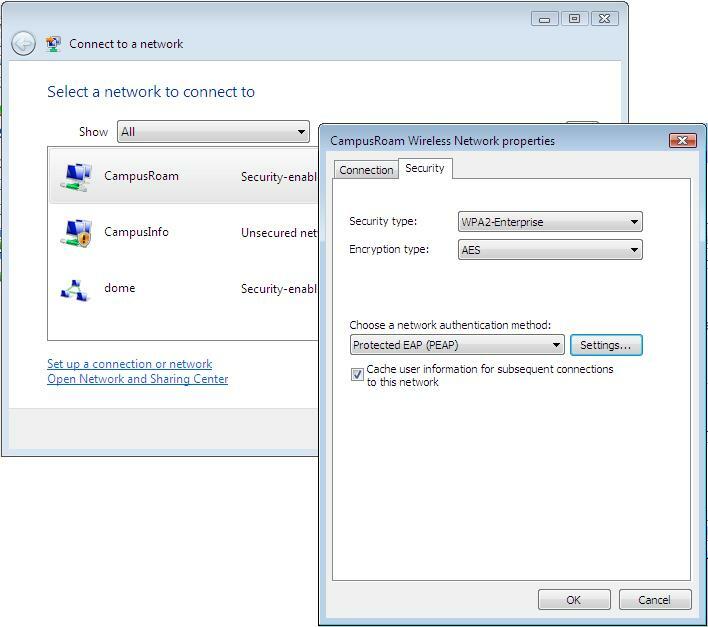 Then click the Configure ... button. 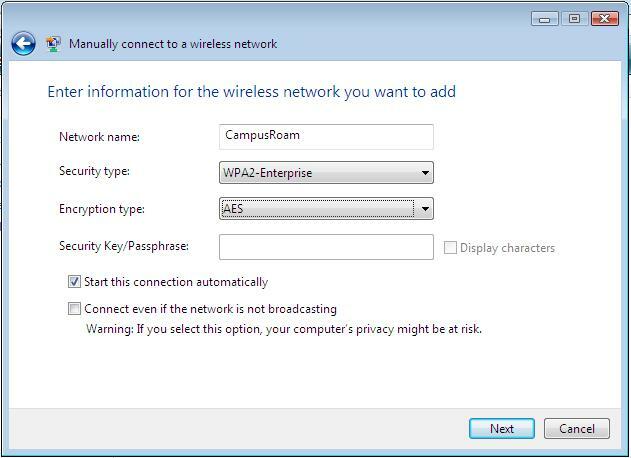 Untick the "Automatically use my Windows logon name and password (and domain if any)" box, and click OK.
Click OK to the Protected EAP Properties window, and OK to the CampusRoam Wireless Network Properties window. Click Close to the main window. That completes the configuration. Enter your university username and password in the Enter Credentials box and click OK.
You should then be connected to CampusRoam. 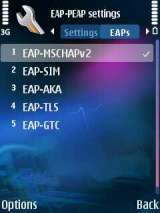 This page includes screenshots from an N95, but other Nokia phones with WiFi will be very similar. 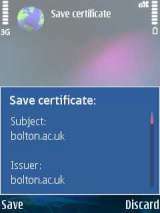 Step 1: Download the Bolton.ac.uk certificate (Click Here) to your phone. 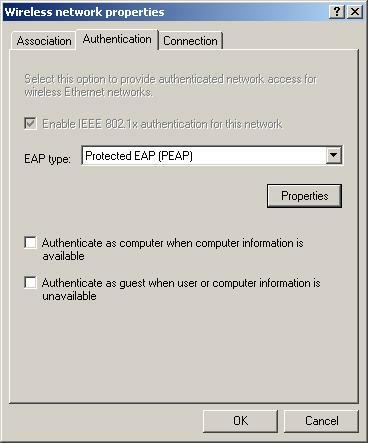 Change WPA/WPA2 to EAP, and edit the EAP plug-in settings. 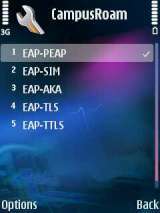 You can bring EAP-PEAP to the top, but this is not necessary. 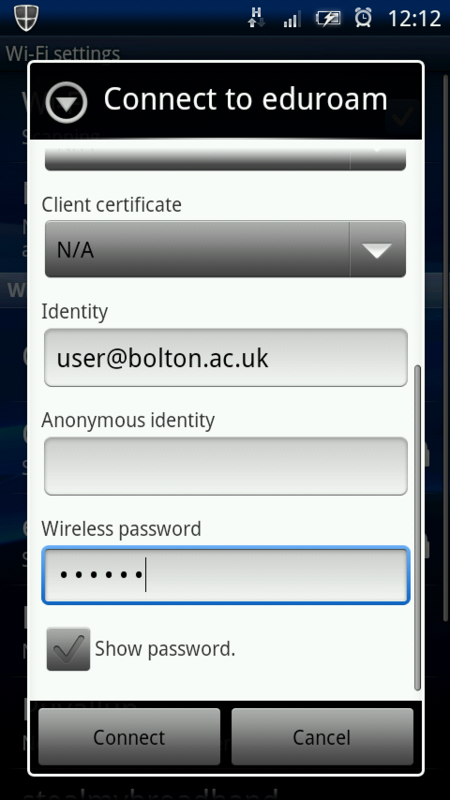 Accept the certificate from "Homer.bolton.ac.uk"
Your connection to CampusRoam is now set up. Sit back and enjoy your cup of tea. 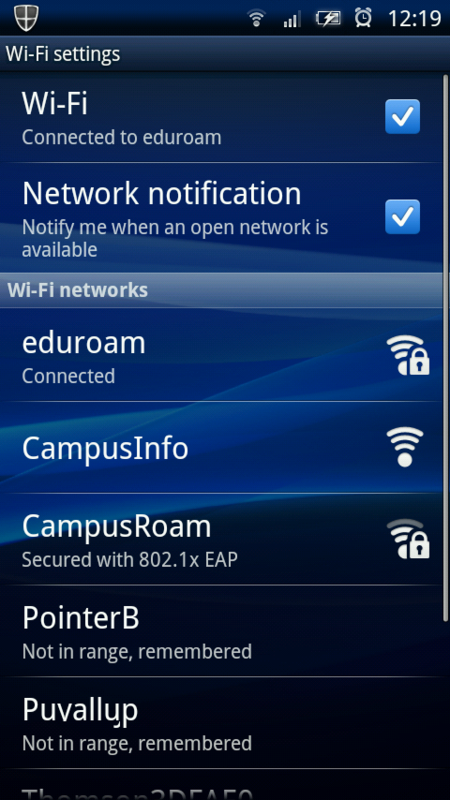 Scroll down in the 'Connect to eduroam' box and put your username in the Identity box. 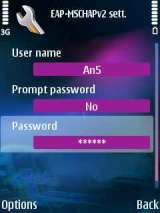 Type your password in the Wireless password box. 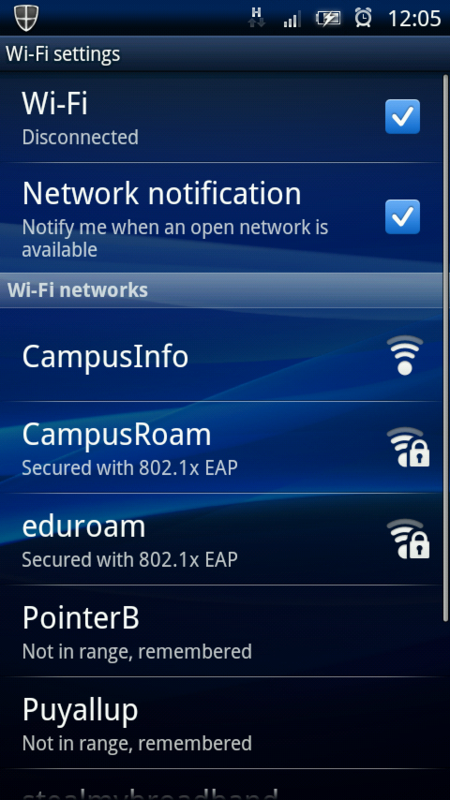 Your connection to eduroam is now set up. 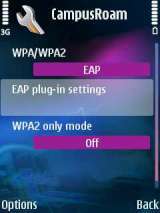 Your phone should connect within a few seconds. 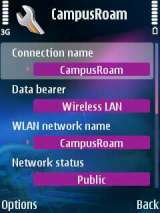 Following these specs, you should be able to set up CampusRoam on any device that supports Wi-fi and WPA2.